It is a dual purpose egg slicer. It cuts in 3 different ways: round, oval or wedges. Take the guesswork out of cooking with the Kalorik Wireless Bluetooth Meat Thermometer. It uses Bluetooth 4.0 technology to wirelessly transmit the internal cooking temperature of your food right to your smartphone! All you have to do is insert the included stainless steel sensor probe into the meat that is being cooked and the data is synced using the Grill Now mobile app, which can be downloaded from the iTunes app store. The app allows you to select one of several pre-programmed meat options, including turkey, beef, pork, or chicken as well as the level of doneness that you desire, ranging from rare to well done. Once these options are selected, the app reveals what the ideal cooking time and temperatures are based on your food. It also features a timer that alerts you when its time to flip your meat or when its ready to serve! Note: Only compatible with iPhones and iPads with BT 4.0 compatibility. The Metaltex assortment focused on the basic utensils that cannot miss in big kitchens when time, quality and presentation becomes an essential goal. Strainers, whisks, skimmers, forks and grills in different sizes and materials (stainless steel or tinned) represent our offer. The Metaltex guarantee - Over 60 years of experience in production of utensils. Metaltex are professional kitchen utensils. 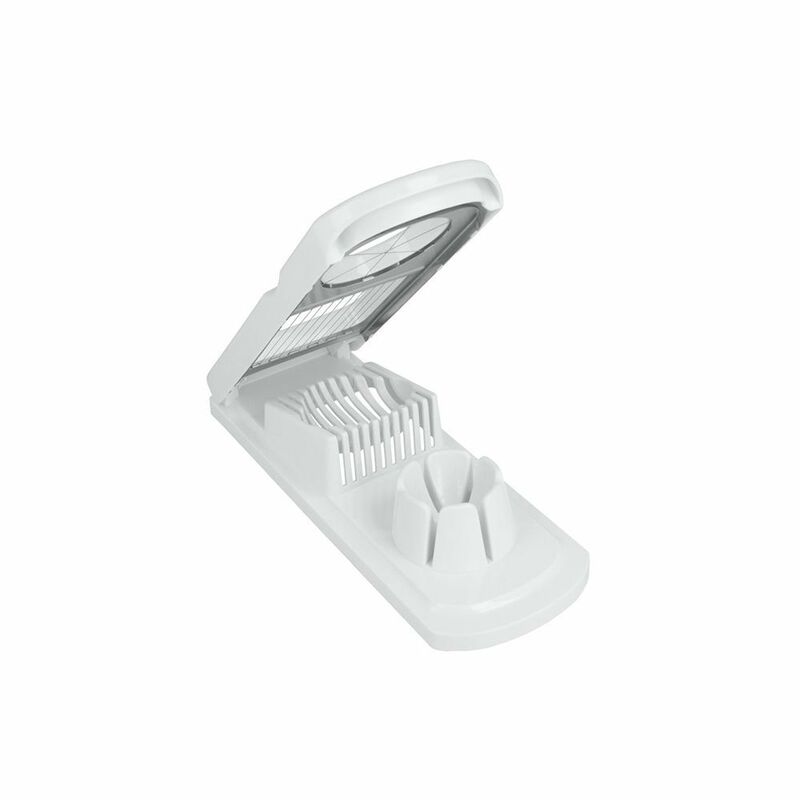 Egg Slicer Counseltron series of professional kitchen gadgets and housewares. For professional chefs. The ultimate collection of main kitchen tools such as ladles, spoons, turners and skimmers; essential gadgets like peelers, can openers, corkscrews and graters to sophisticated utensils like tea spoons and serving sets. A complete assortment for every need at the table and in the kitchen.